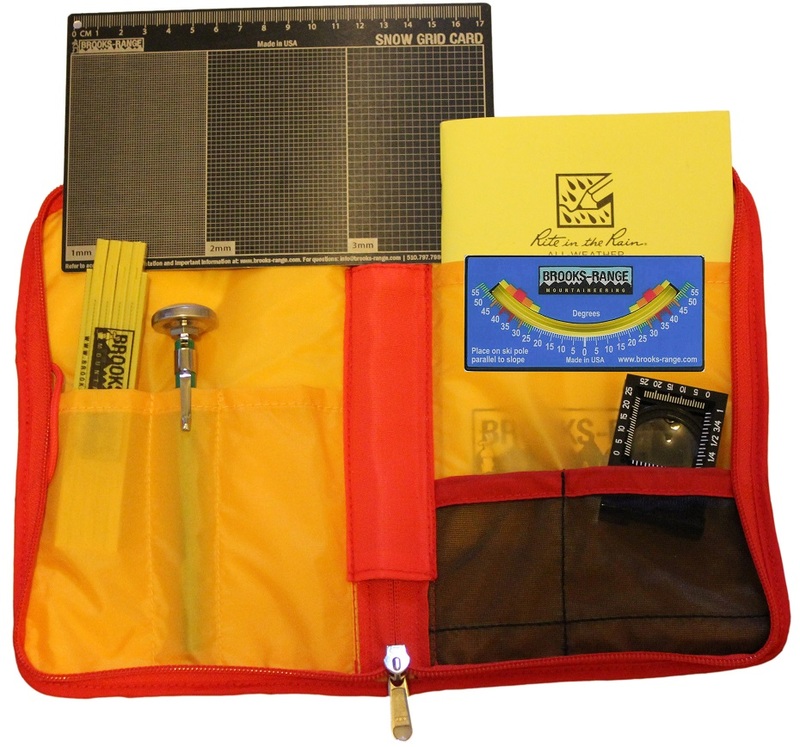 Brooks-Range's basic Snow Study Kit is perfect for any Level I or level II avalanche course, or for anyone who does not have snow-pit study tools. 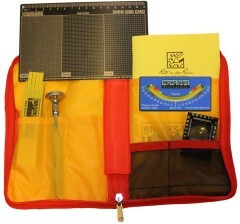 This kit has all the essentials you need for basic snowpack evaluation, all wrapped-up in an easy-to-carry case. The guts of the kit are itemized below. Snow Crystal Card - 3 textured grids for examining snow crystals and doubles as inclinometer. Backside has snow pit legends. 100 cm Folding Ruler - For documenting a snow pit with precision. Dial Stem Thermometer - To document the snowpack's temperature and easily recognize if there is a gradient. A Brooks-Range Snow Study Pouch - For compact storage.